As a member of NC State’s more than 2300 faculty members, your primary focus is educating the next generation of thinkers and innovators. Our job is to support you in those efforts with quality campus services that are tailored to meet your needs. 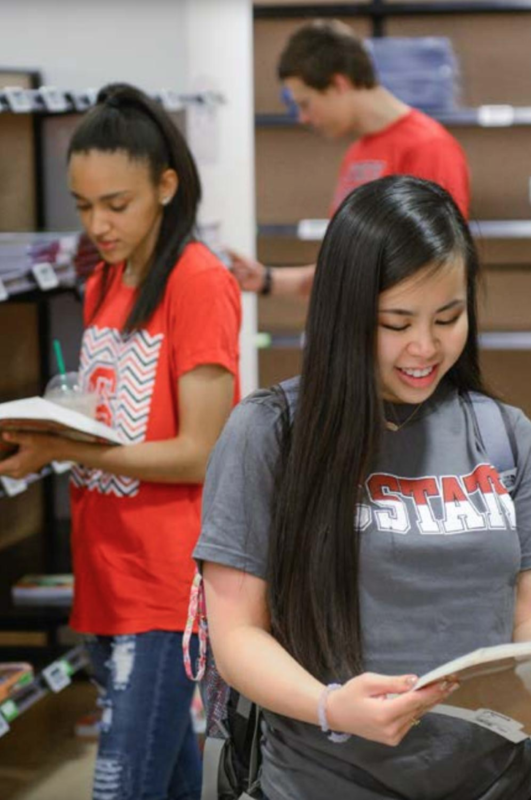 NC State Stores’ number one priority is to ensure your students get the best price on course materials and in the format they prefer. One way we do this is through our price comparison tool — a link in MyPack Portal — that enables students to shop our store and other national retailers, then check out from multiple vendors in one place. We also work with various partners to offer books in additional formats, like eBooks and rentals, to save students’ money on the course materials you choose for them. We have partnered with Verba — one of the premier independent adoption collection tools — to connect with you via email throughout the textbook adoption process. You can re-adopt previous books, see the affordability score of adopted books, and research alternate books. Starting Summer 2017, you can make arrangements for your students to have access to custom digital content through our new Day One Access program. Adopt your books early so we can ensure they are in stock at the best price. Christopher Walsh is your textbook expert. Contact him at 919.515.6111 or crwalsh@ncsu.edu. 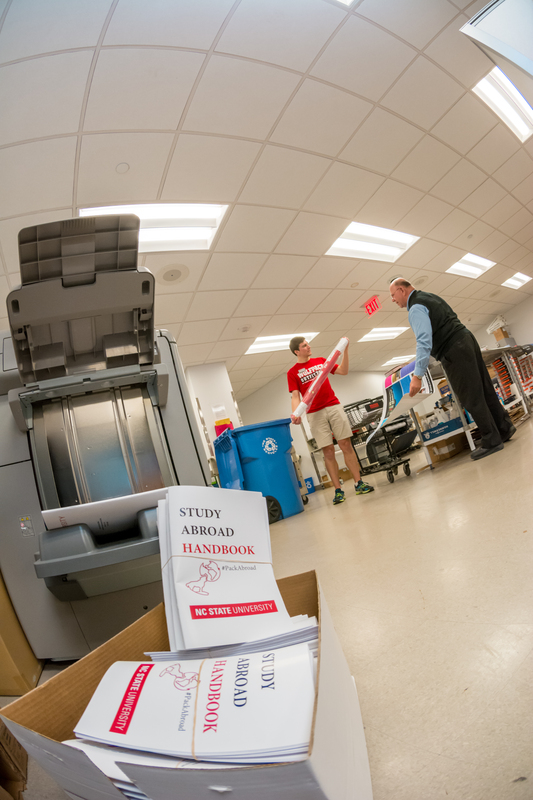 We have in-house and print-on-demand production capabilities through Wolf Xpress, our print and copy shop in Talley Student Union. Get copyright clearance, print your course packs, and bind the course pack all in one location. We currently produce between 25 and 30 course packs per semester, spanning all kinds of disciplines. Find out more at go.ncsu.edu/wolfxpress, call 919.515.2131 or visit us in Talley Student Union. Wolf Xpress is a great resource for your students’ copy and printing needs, such as posters, booklets, displays and reports. Wolf Xpress can even print their theses and have them bound in leather with gold or white hot-stamp personalization. We have the fastest turnaround times with a centralized, on-campus location. To learn more, stop by Wolf Xpress in Talley Student Union, or call Wolf Xpress at 919.515.2131. NC State Stores want to help you promote your publications. Whether that’s hosting your book signing at Talley Student Union or handling book sales at your location of choice, we’re here to make it a success with marketing and event support. Get started by contacting Christopher Walsh at 919.515.6111 or crwalsh@ncsu.edu. NC State’s award-winning dining program is not just for students. 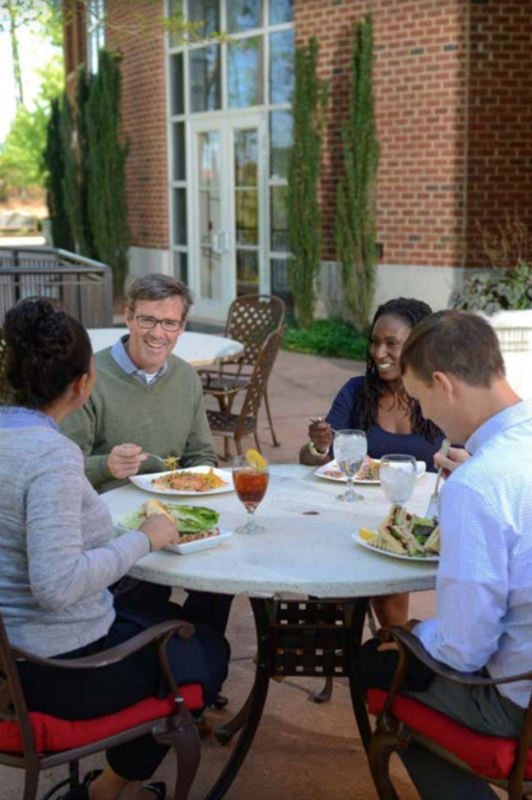 We have many dining locations across campus that offer a quick bite throughout the day. Some days call for more. If you’re hosting visitors or want a special place to dine, we offer three options with table service that are sure to satisfy and impress. For parties of 10 or more, please call for a reservation. All NC State Dining locations accept PCards. Rave! Events is expert at creating the right atmosphere for receptions, fundraising dinners and official university functions. Rave can facilitate events in Talley Student Union, Park Alumni Center, Hunt Library, the Lonnie Poole Golf Course and Witherspoon Student Center. Call 919.51.EVENT (919.513.8368) or visit rave.ncsu.edu to learn more. The new StateView Hotel and Conference Center, an Autograph Collection Hotel, is a located on Centennial Campus near the Park Alumni Center. Make these accommodations your first option when hosting campus guests and use the code NQA for tracking purposes and to get the best rate. Visit stateviewhotel.com for details. 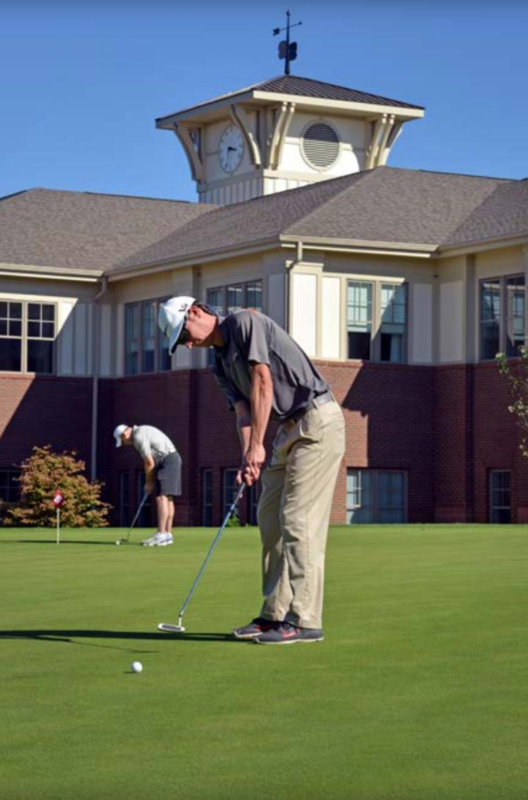 Situated on the rolling hills of Centennial Campus is the Lonnie Poole Golf Course: 18-holes of Arnold Palmer-designed championship golf and a finely appointed clubhouse with a golf shop, restaurant and indoor training facilities. The course is home to NC State’s renowned turfgrass, sustainability and professional golf management programs as well as the men’s and women’s golf teams. Faculty are invited to use the facility in a variety of ways. LEARN Sign up for group or private lessons, clinics or leagues. TEACH The clubhouse has several rooms for workshops and training sessions. With on-site catering, you can meet and eat without having to leave the facility. ENTERTAIN Host visitors for a day of meetings, meals and golf. For more information, contact 919.833.3338 or visit lonniepoolegolfcourse.com.